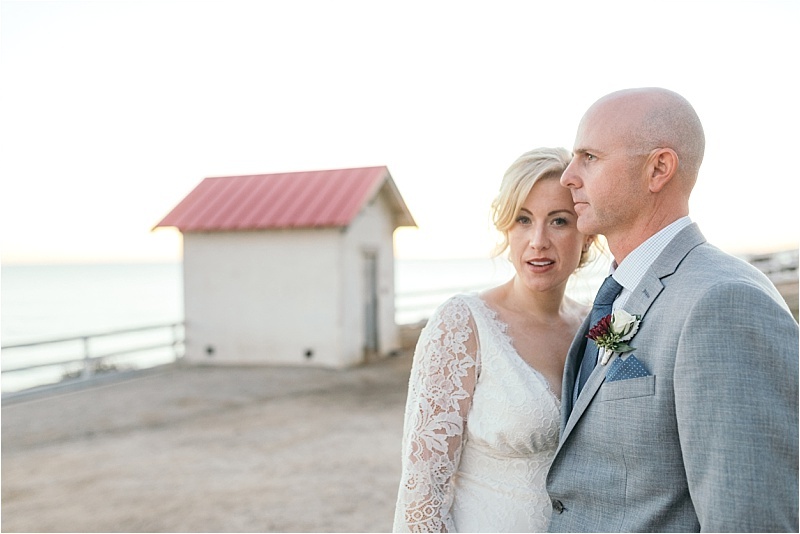 When Melissa and Ryan first dated in high school, they never could have imagined that they would rekindle their love 15 years down the line. 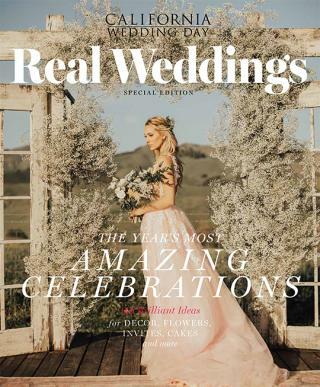 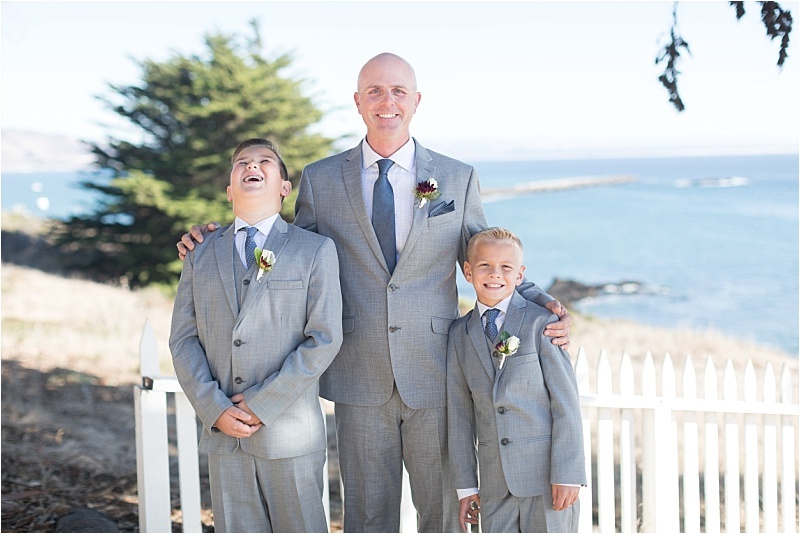 Despite the waiting period, it all felt meant to be, and Ryan proposed on a beach in Cambria, California, which would set the mood for their rustic beachfront wedding. 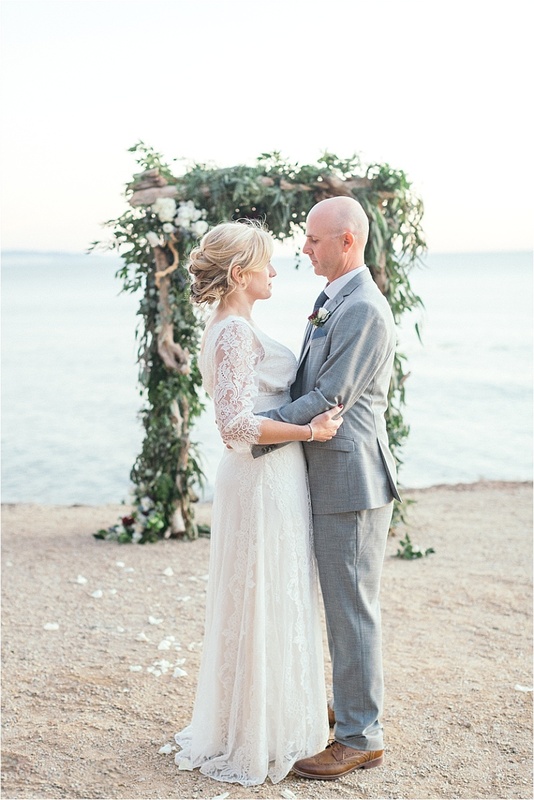 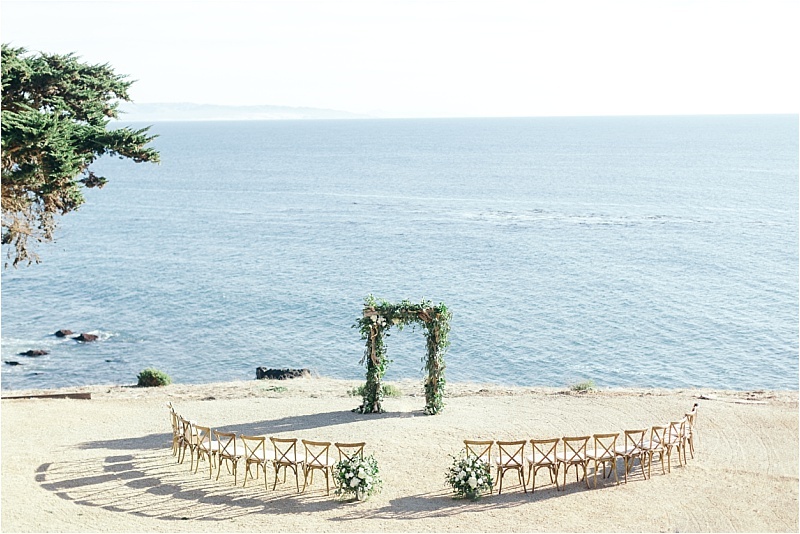 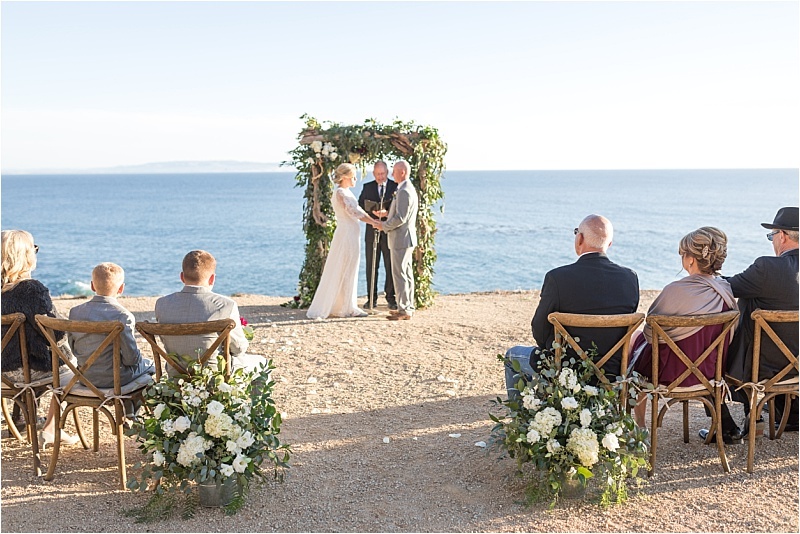 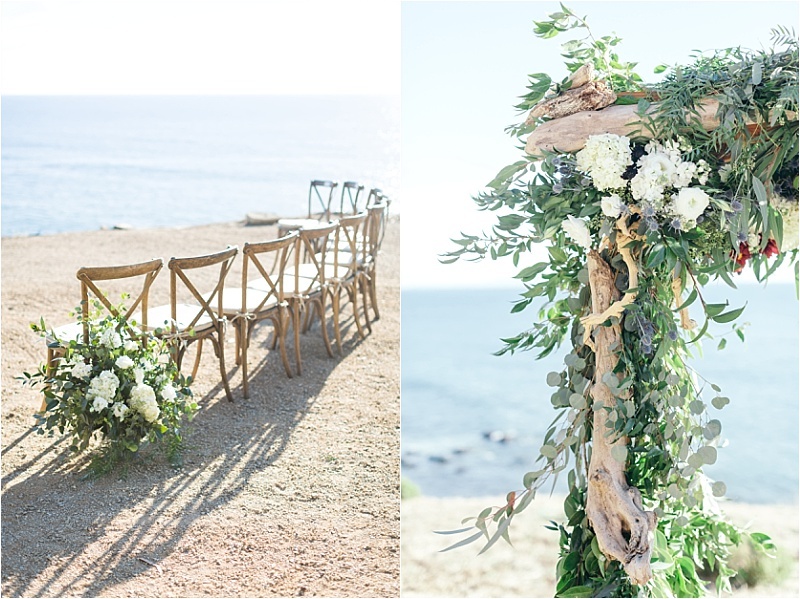 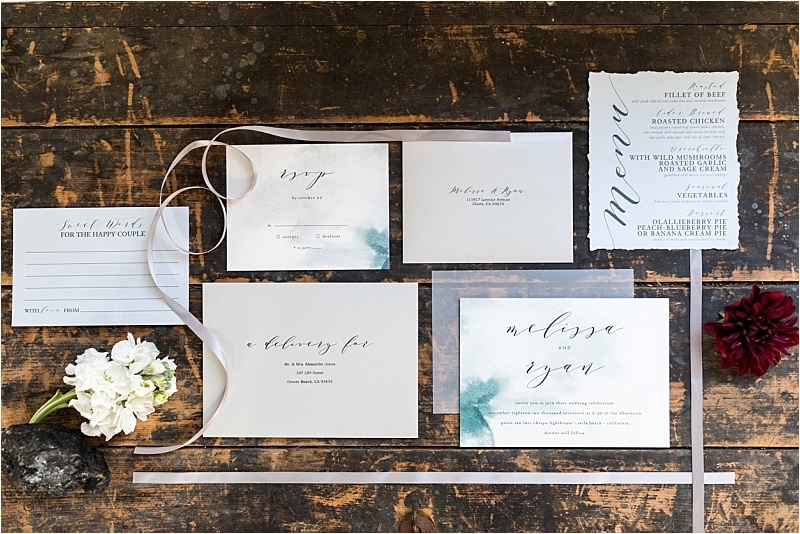 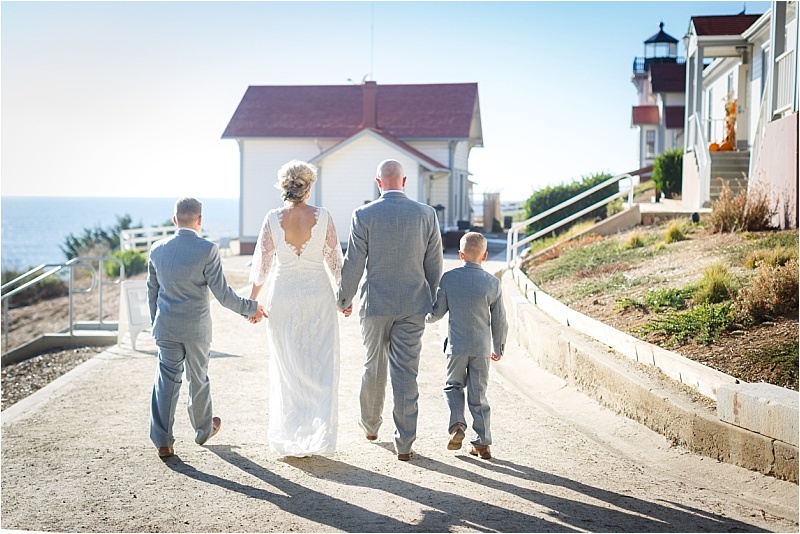 Melissa and Ryan worked with Le Festin Events to design a wedding day inspired by the jaw-dropping ocean backdrop at Point San Luis Lighthouse. 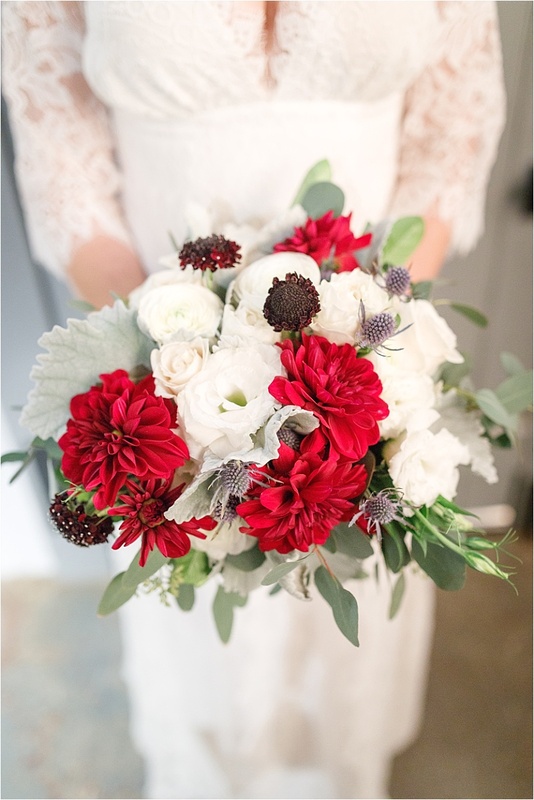 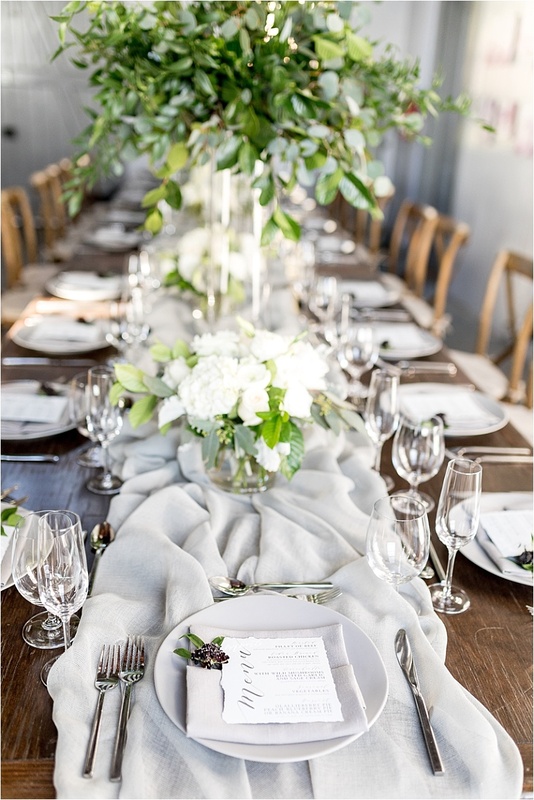 They used muted blue and gray tones with industrial seaside rustic accents for a clean, bright feel, with pops of greenery and burgundy. 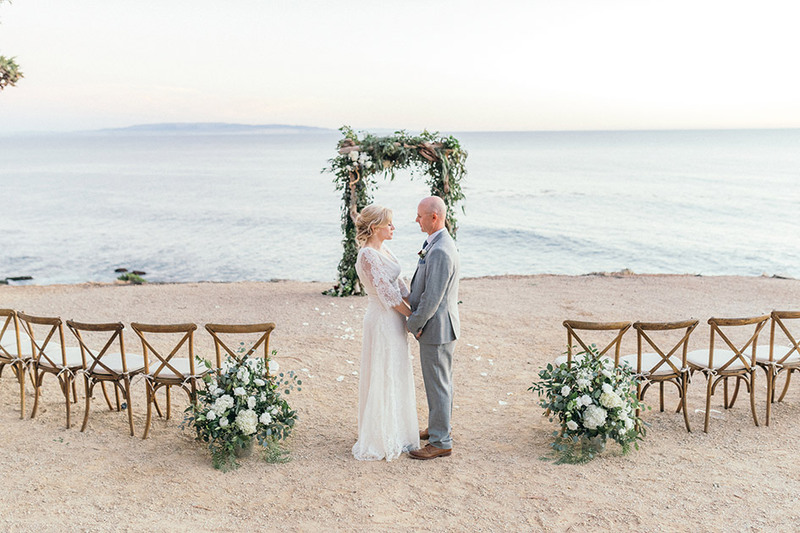 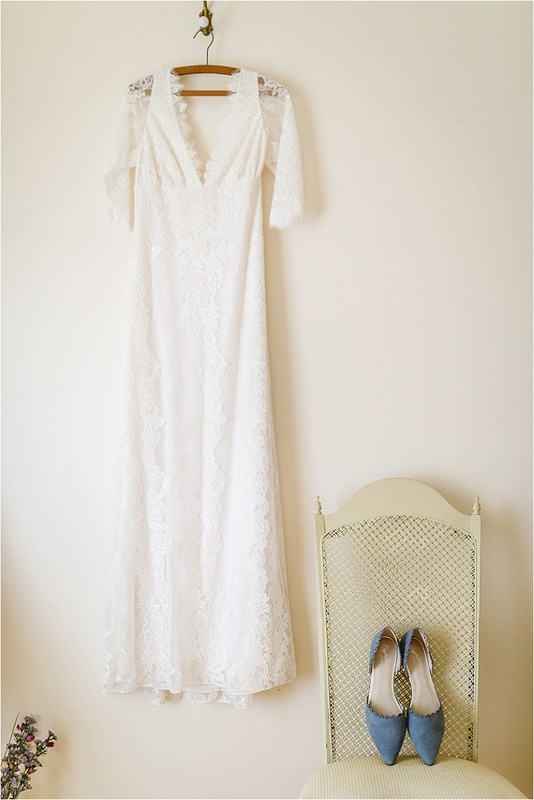 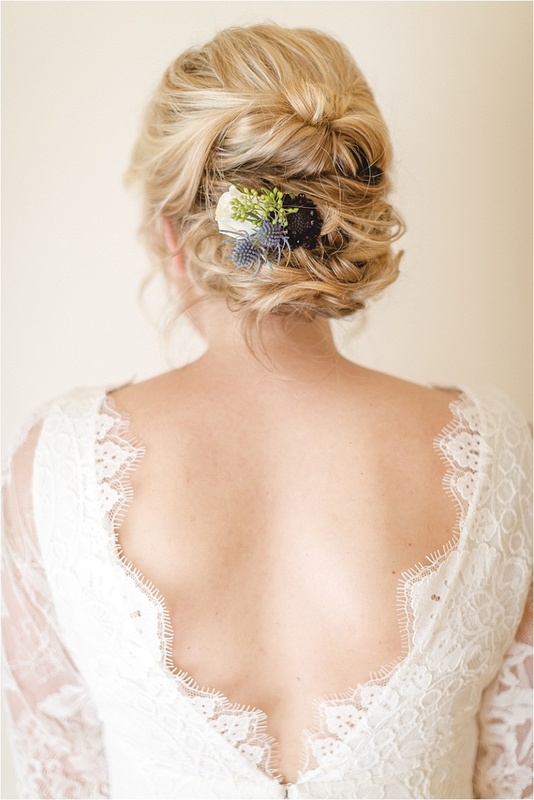 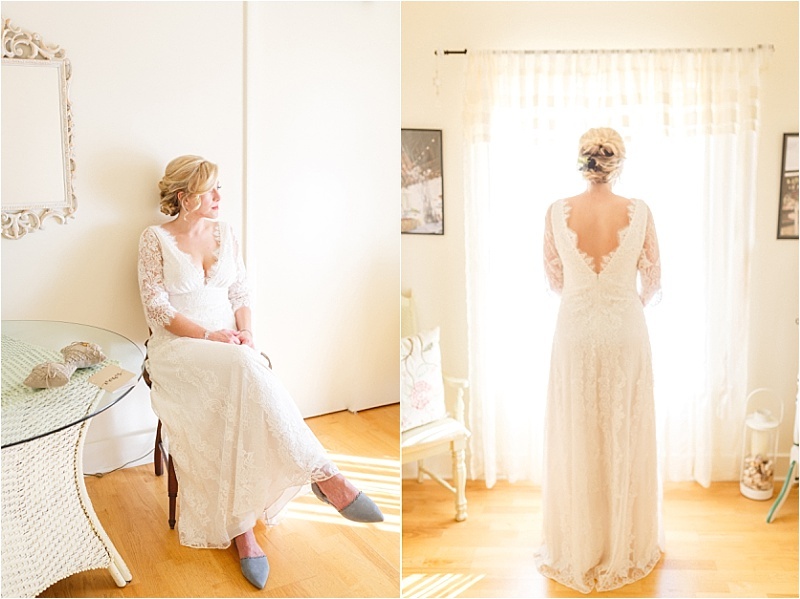 Melissa walked down the aisle in a flowy sheath gown by Claire Pettibone which had three-quarter-length sleeves and delicate lace detail from top to bottom. 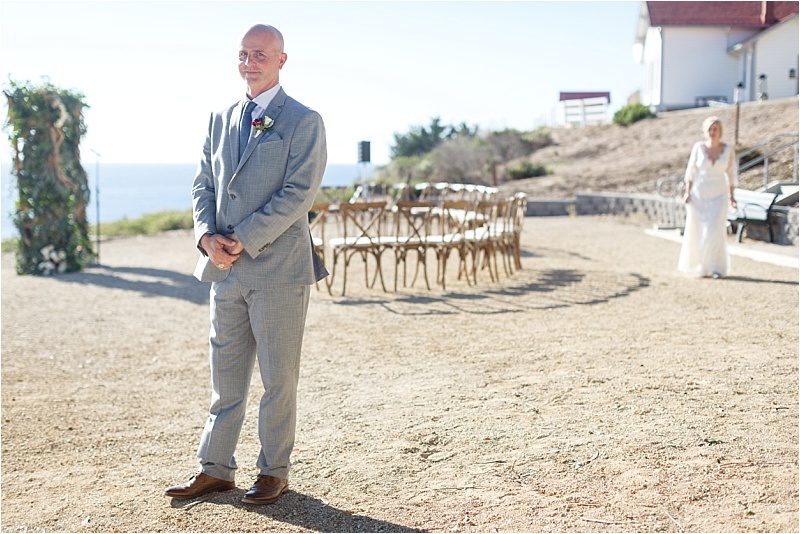 Ryan wore a gray Calvin Klein suit that tied in with the muted color palette. 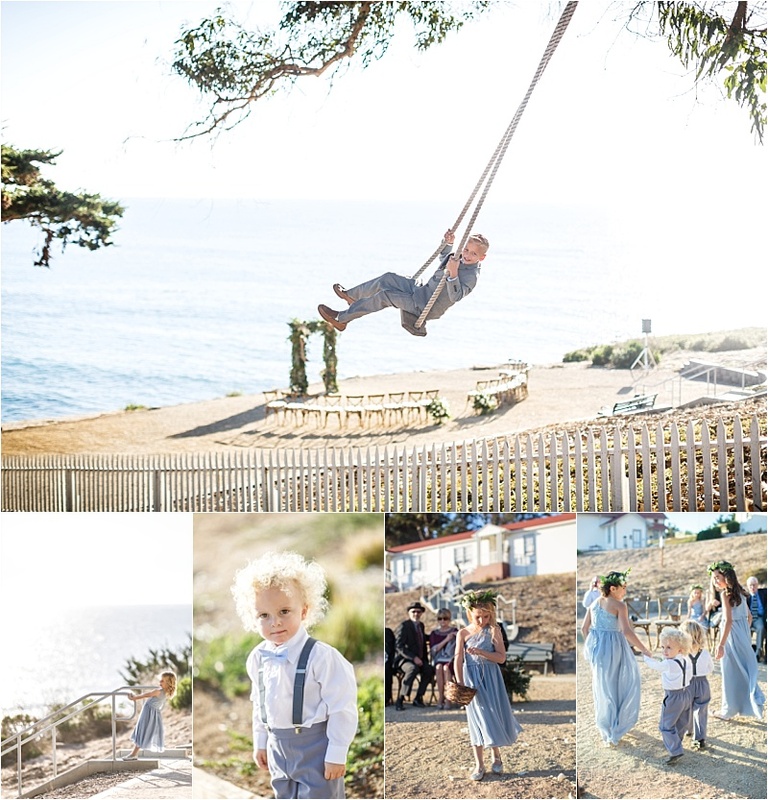 The young boys in the wedding party rocked suspenders and baby blue bow ties, and the girls wore the light blue dress of their choice. 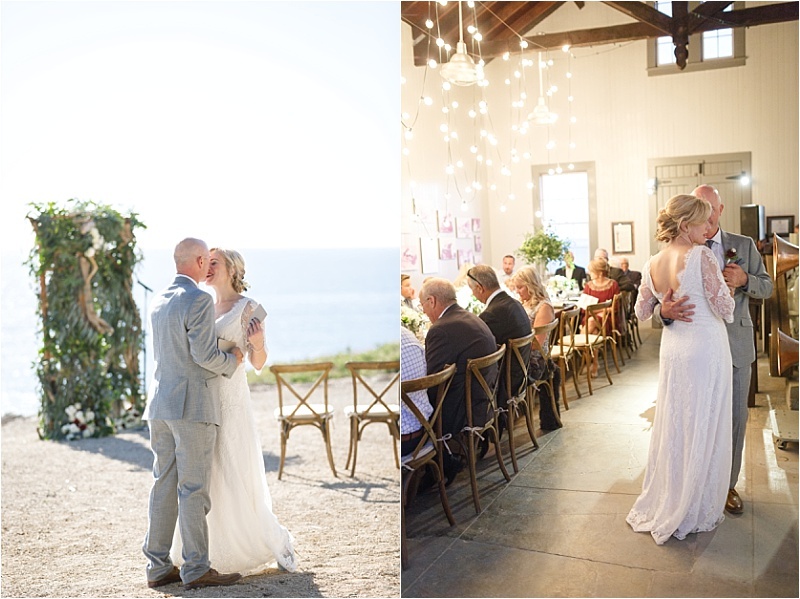 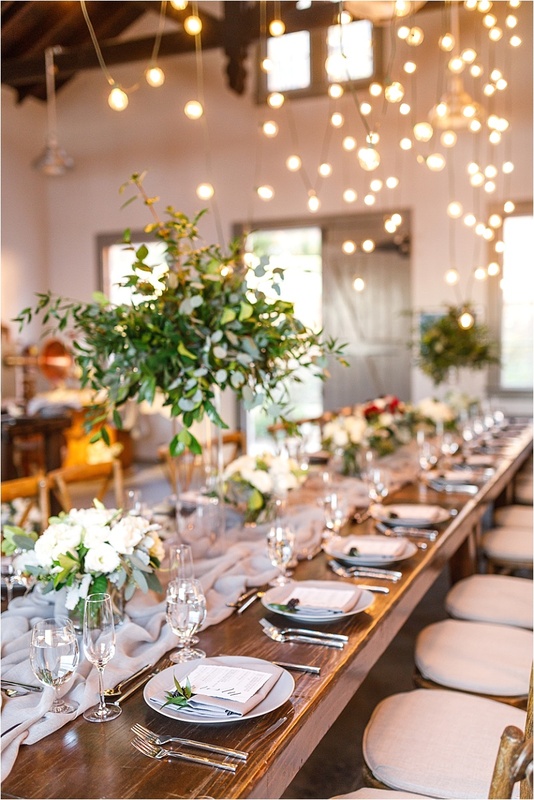 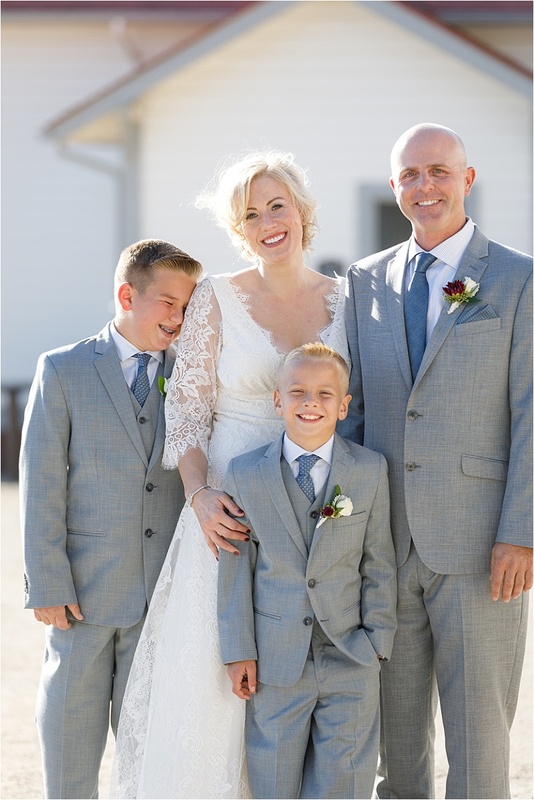 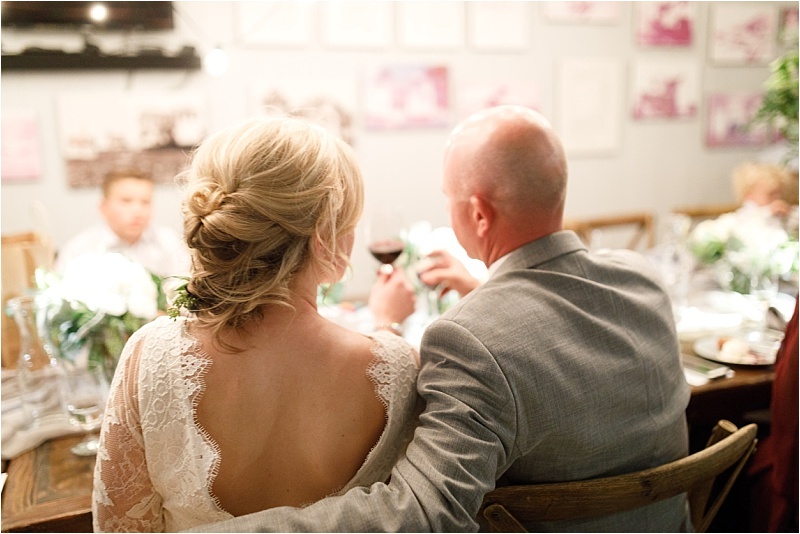 From the start, the couple knew the three ingredients necessary for their perfect day: great food and drink, a fabulous ambiance and love of family. 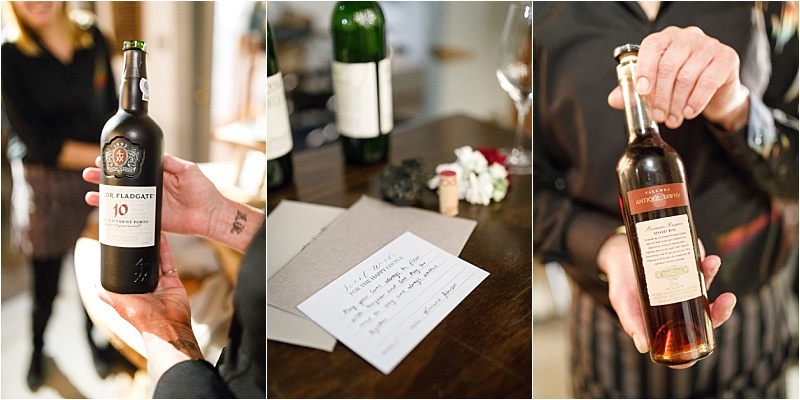 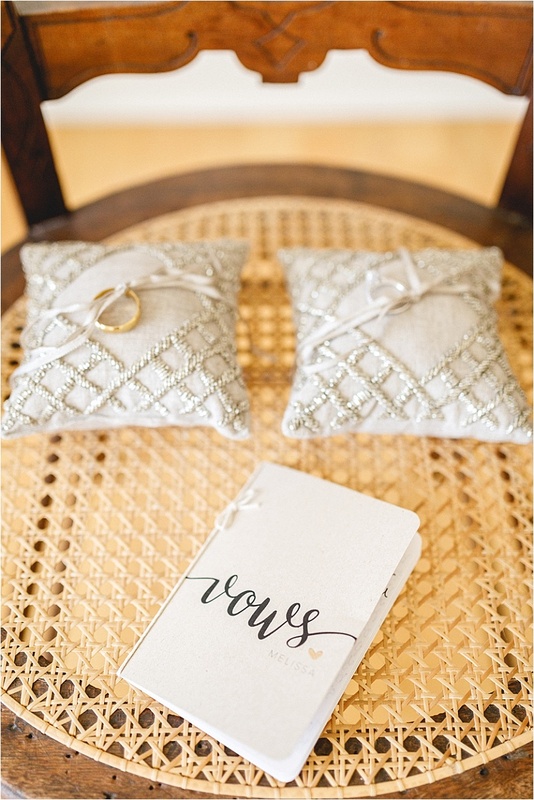 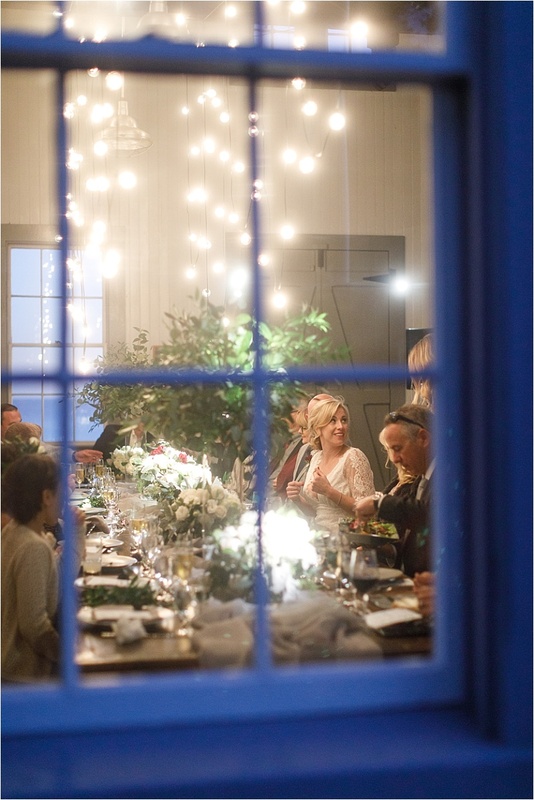 The guest list was kept short for the nuptials, so the couple could maintain a cozy, intimate feel. 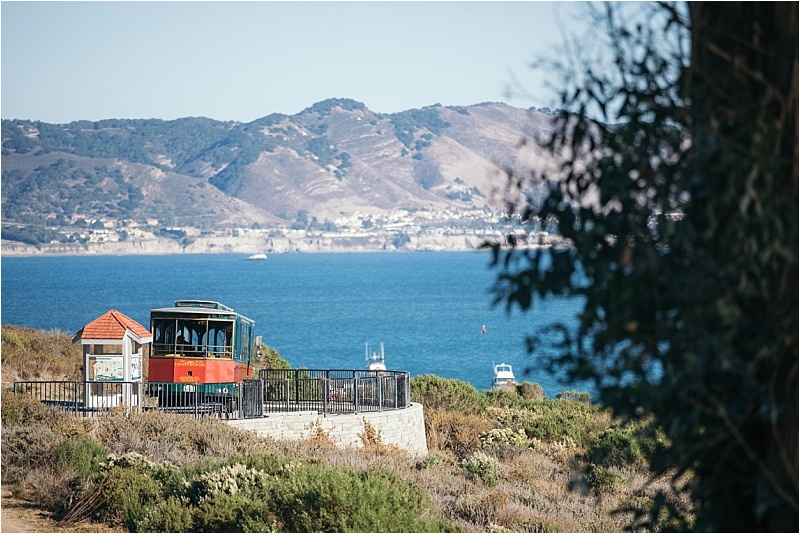 The 18 guests were brought up to the lighthouse ceremony by old-fashioned trolleys welcomed with champagne, charcuterie and cheese, and given a tour of the grounds. 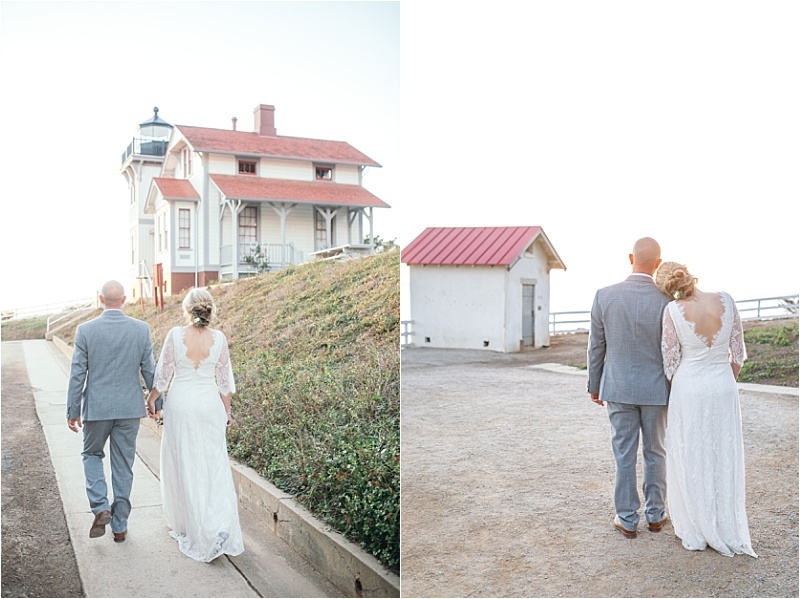 After the couple said, “I do,” everyone moved to the original Fog Signal Building, where they were wined and dined. 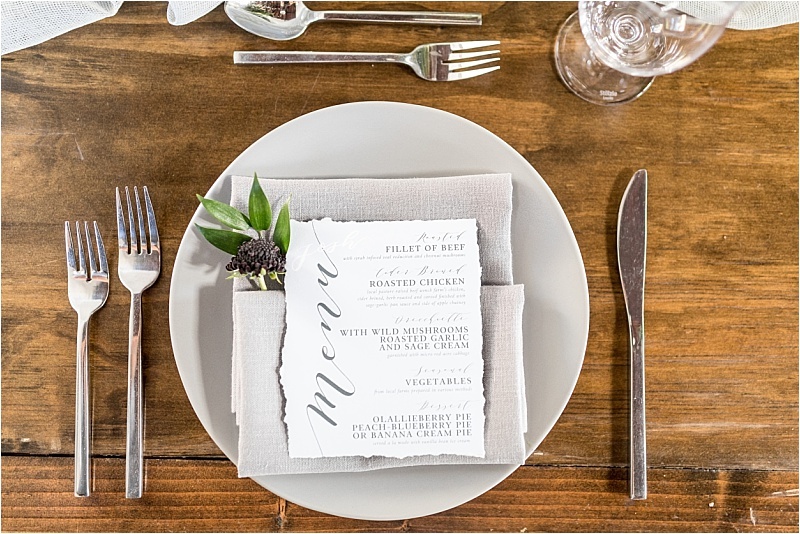 Dinner was composed of three delectable courses, which were each thoughtfully paired with an assortment of wines. 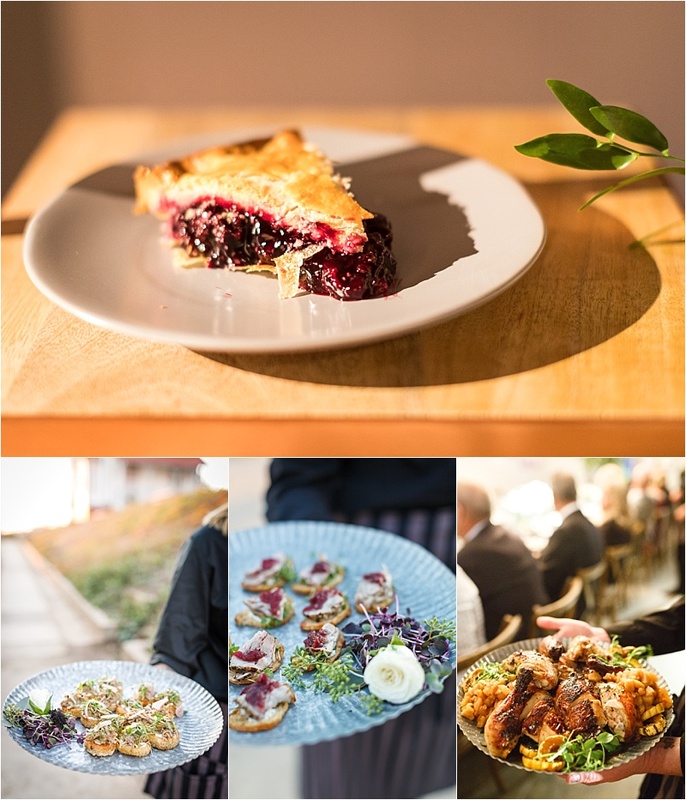 In lieu of cake, the couple opted for olallieberry, peach-blueberry and banana cream pies served à la mode. 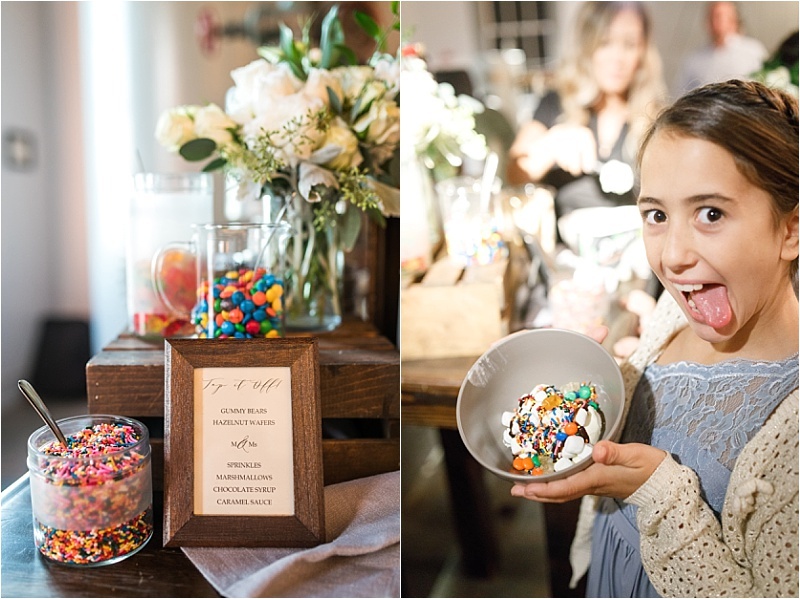 Meanwhile, the kids enjoyed a DIY mac ’n’ cheese bar followed by an ice cream sundae bar.